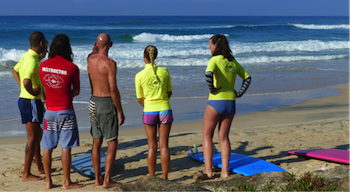 True intermediate surf coaching is very hard to find but at Surf School Sri Lanka we deliver just that. We coach those of you who are riding your first unbroken waves to surfers with far more experience working on turns and technique. 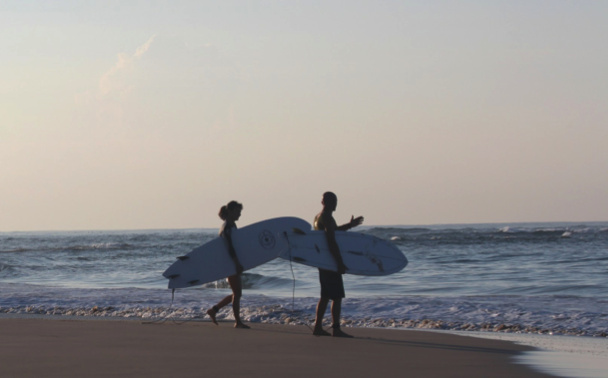 Our coaching opens up and expands your surfing. My names Tim and I originally come from Wales in the UK. 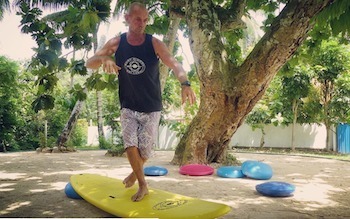 I’ve been coaching surfing for 35 years and run schools in Lanzarote , Canary Islands and South Sri Lanka. We are based in the Kabalana area of South Sri Lanka and offer surf coaching here to intermediates and those above that level. We opened our school here as we know that in the period of November to the end of April we have the ideal waves for this level of surf coaching. We use a unique coaching system involving the core skills of understanding balance, technique and equipment with a strong emphasis on how mindfulness can not only improve performance but also basic enjoyment. At the moment Sri Lanka has a huge problem in mismanaged plastic waste and its impact on the coastal environment is huge. This problem is one that will also affect the future of tourism and the economy in general. It’s an issue of education as ever and there are sign that a general consciousness about the issue is growing but in being ranked by some as 5th in the world for plastic waste mismanagement the issue is one that has to be urgently dealt with. We run our center, of course, in the most ecological way we can but in its essence by the nature of surfing, its equipment, the boards, leashes , wax and rash vests mean every surf school anywhere in the world already is leaving a pretty ugly environmental footprint. In Sri Lanka add to that the trips in tuk tuk’s, our surf school vehicles and the very planes that bring our clients to our courses and you can see we have much to do to redress and create a balance. So we run regular beach cleans and encourage visitors and locals as well to do the same. 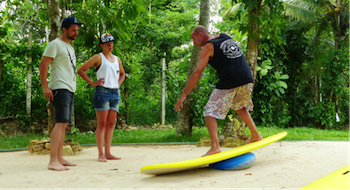 But we have the added advantage of being very involved with instructor training for the International Surfing Association and the Surfing Federation of Sri Lanka. So we have the chance to carry a message to many other surfers, local or not and surf schools and onwards to those in government administration. It’s really refreshing to see the ethos behind My Green Trip and partnership gives us a chance to help those who not only live in Sri Lanka but also visit. I really like the way the online platform is set out and the varied way they approach the issue of environmental awareness and pollution. As surfers we see like all who spend their time around the oceans the fact that we are now in a critical stage for this planet. We all need to act now… right now.